Science * Technology * Entrepreneurship * Arts * Making You'll experience all the fun that you can possibly imagine under one roof at Rocky Mountain STEAM Fest 2019 (Sixth Annual). With over 100 indoor, hands-on activities, this event has something for everyone no matter how young or old, tall or small, nerdy or not! This WOW-filled, two-day indoor festival is focused on Science and Arts activities including: Drones, rockets, WWII airplanes Robots Oooey, Gooey experiments Burning and Exploding things (not kidding!) 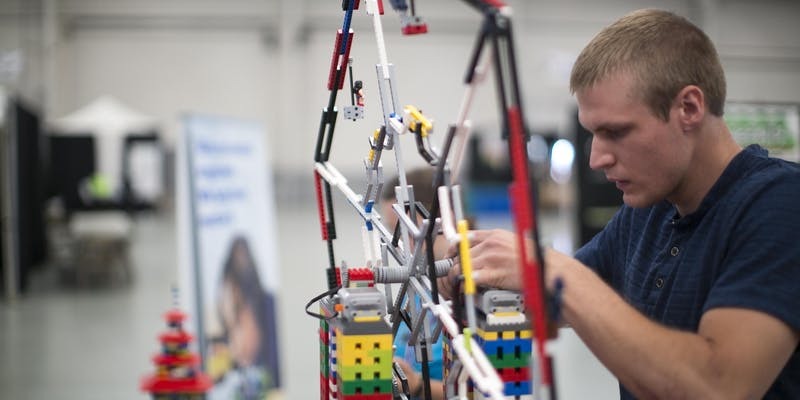 High Tech and fine arts (and everything in between) Making and building, learning and so much fun Food trucks, great beer and awesome spirits Over 100 hands-on STEAM activities The Rocky Mountain STEAM Fest 2019 is conveniently located at Boulder County Fairgrounds with lots of parking, and amazing indoor and outdoor spaces to make it easy and fun no matter what Colorado's weather dishes up! FAQs Are there ID or minimum age requirements to enter the event? This is an all-ages event. No ID required, all are welcome! Children 4 and under are free. What are my transportation/parking options for getting to and from the event? Plentiful parking is provided both North and South of the Main Exhibit Hall at the Boulder County Fairgrounds. We have some awesome volunteers that collect donations for a local non-profit, so bring some spare change to support them - otherwise, parking is free. Do I have to bring my printed ticket to the event? Having your printed ticket will speed your entrance into the Rocky Mountain STEAM Fest 2019 (Sixth Annual). However, if you have the Eventbrite Mobile app, or you download a PDF of your ticket, we can scan it and you'll be allowed entrance. Don't have a ticket - no worries, additional tickets are available at the door at a higher price (so get 'em online ahead of time!) Is it ok if the name on my ticket or registration doesn't match the person who attends? Yes, you can give your printed ticket to a friend. Be aware, however, that once the ticket is scanned, it cannot be used again. What is your refund policy? Refunds are allowed up to the day before the event. Just request the refund in the Eventbrite app, and we'll gladly refund your money. Please note, the event occurs come rain or shine, and most activities are indoors - so don't let the weather scare you away!